This Liberty 3 in. 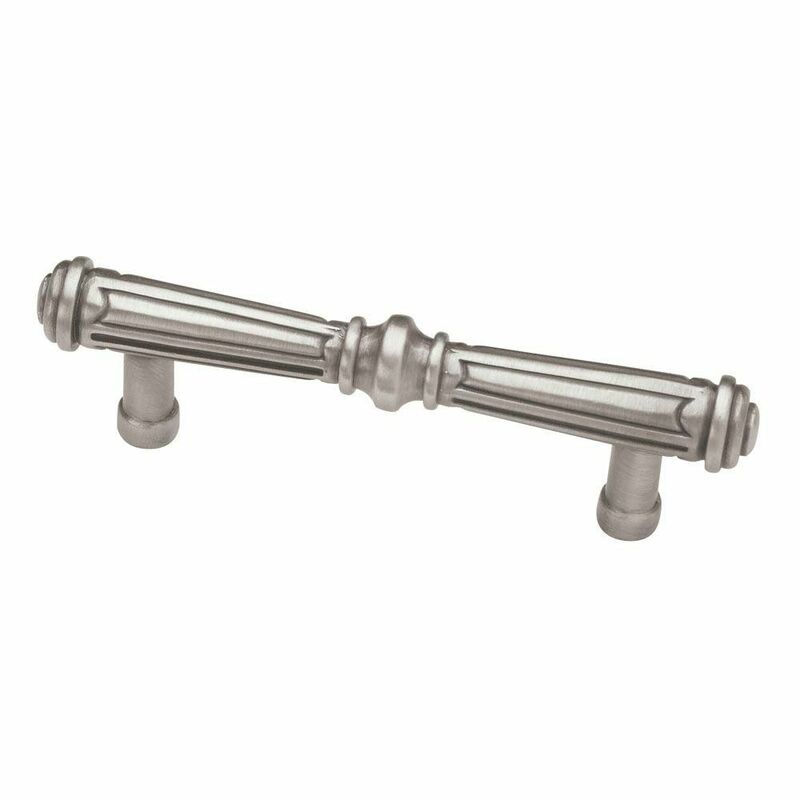 Brushed Satin Pewter French Huit Pull enhances the appeal of your cabinetry. The attractive pewter finish complements your style. The included hardware makes installation a breeze. 3 in. French Huit Pull This Liberty 3 in. Brushed Satin Pewter French Huit Pull enhances the appeal of your cabinetry. The attractive pewter finish complements your style. The included hardware makes installation a breeze. 3 in. French Huit Pull is rated 4.9 out of 5 by 9. Rated 5 out of 5 by Hershell from The drawer pulls are great and look really good with... The drawer pulls are great and look really good with our refinished white kitchen cabinets. Rated 5 out of 5 by Tracy from Very beautiful and sturdy knobs and pulls.... Very beautiful and sturdy knobs and pulls. Rated 5 out of 5 by DMF from Drawer pulls Love these pills and they look great on my new vanity. Rated 5 out of 5 by Jeanne from beautiful handles These handles look beautiful with my linen white kitchen cabinets - they are excellent quality and value. Rated 5 out of 5 by Sheri from Good, solid design I really like the handles - they are exactly what I expected and they arrived quickly. Rated 5 out of 5 by Anonymous from Beautiful Cabinet Pull Lovely antique pewter cabinet pull. Looks gorgeous on a plain drawer. Rated 5 out of 5 by Anonymous from Gorgeous Drawer Pull I held about 6 different cabinet pulls up to my new bath/dressing area cabinets and this one was far superior to the others. Not too fussy, it is distinctive and very attractive with just the right amount of detail.